Many homeowners in Oshkosh are starting to discover high radon levels in their homes and have decided to look into radon mitigation systems to solve their radon gas issues. In fact, radon mitigation in Oshkosh is up substantially over previous installation years. The midwest has some of the highest radon levels in the country and with the recent innovations in technology it is becoming a lot simpler to mitigate high levels of radon out of homes. Radon mitigation systems, also called radon abatement systems or radon remediation systems, are probably a lot more simplistic than you may think. 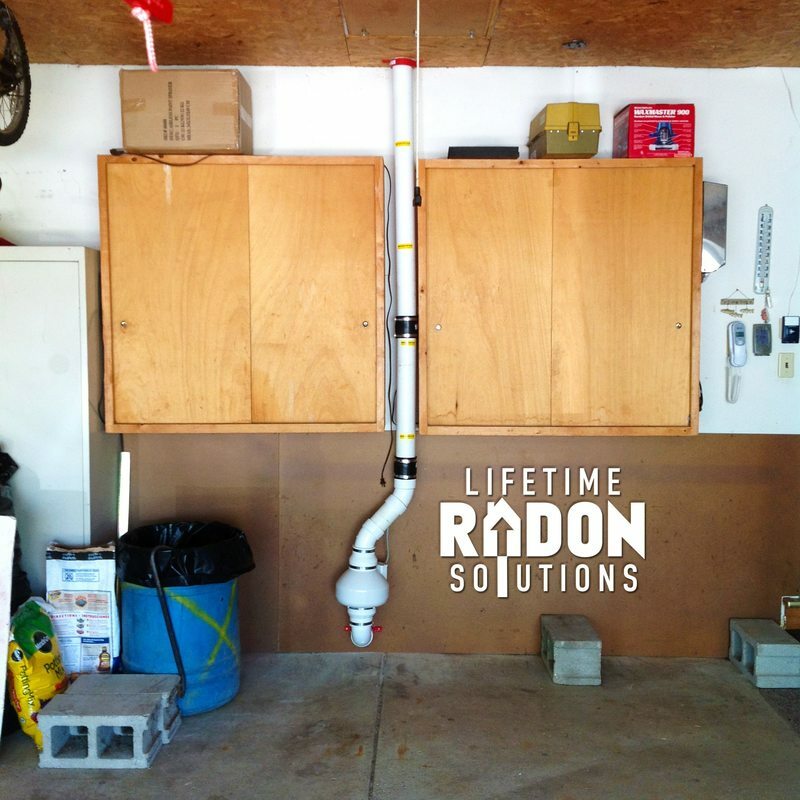 The simplest way to describe a radon mitigation system is to explain that it is a venting system composed of piping and a radon fan that continuously draws radon gas out from beneath the basement and vents it above your roof line. Of course there are much more complicated pieces to radon mitigation, but leave that part to us. Our radon mitigation technicians have over 30 years of experience combined, and we have been in business for over 20 years. If you are interested in finding out if your home is in need of a radon mitigation system or you have questions about radon gas, give us a call or click the link below and we can set you up with a free quote over the phone. Radon gas is completely undetectable without the proper equipment. You can't see it, you can’t smell it, and you can’t taste it. For this reason, it is crucial to get a proper radon test done in your home. The effects of radon gas on your health are not immediate, but can affect you over time and cause lung cancer. In fact, the EPA estimates over 20,000 people a year die from lung cancer caused by radon gas. Our radon mitigation company offers a variety of radon tests to suit your needs. Give us a call or click the link below to learn more or schedule a radon test for your home today! Radon mitigation in Oshkosh, and the rest of the Fox Valley area, is becoming increasingly more prevalent. With more citizens than ever before concerned about their indoor air quality, Lifetime Radon is now offering radon mitigation and radon testing services throughout the entire state of Wisconsin. Listed below are some of the nearby cities we frequent for either radon testing or radon mitigation. All of our radon mitigation systems are custom made to fit the property owners needs. For that reason, there are different ways and techniques to install a radon mitigation system depending on the property construction, the initial test levels and the property owners hopes and desires after retest. Listed below are some radon mitigation installation techniques we can utilize to help reduce the radon levels in your home. Sub-slab depressurization is the process of creating negative pressure under the slab of the occupied dwelling to pull the radon gas from the soil underneath the structure. If the home or building does not have a drain-tile system, our radon mitigation technician can dig a suction pit, or collection point, to create the negative pressure needed under the structure and mitigate the radon gas from the soil. Our radon mitigation technicians always look out for the best possible spot to install a radon system so it’s the most effective and aesthetically pleasing for the property owner. Another method we can use is called block wall depressurization. In some homes, the radon gas seeps in from the soil behind the block wall. Similar to the sub-slab depressurization concept, we can create a system that taps into that block wall and pulls out the radon gas from the soil surrounding the wall and within the wall itself. Block wall depressurization is most commonly used in tandem with the sub-slab depressurization concept. Utilizing the drain-tile system is the most effective way to mitigate radon from beneath the home because the drain-tile system has access to the soil and usually covers a large area. This is called drain-tile depressurization. This concept is very similar to the sub-slab depressurization process, the only difference is it taps into the drain-tile system instead of utilizing a suction pit. This system is the most effective way to mitigate radon from the home because of how much area the drain-tile usually covers. Our radon mitigation technicians can also use the sump pump crock to access the drain-tile and run the piping out of there. Although this option is usually not preferred because it limits where the pipe can come out of the home and it may not be the best area aesthetically for the homeowner. Moreover, it limits the homeowners access to their sump pump, so if for whatever reason one needed to access the pump, often times it makes it more difficult to do so. It is a common misconception that the piping MUST run out of the sump pump crock, but that is simply untrue. Many mitigators suggesting this method just simply don't have the tools to run the system any other way. Our goal is to do what is best for the current property owner, or any future occupant, even if that requires more tools and extra labor. It is extremely important to choose the right radon mitigation contractor in your area. In order to make a quality decision, it is important to consider a few different aspects surrounding the prospective companies and their values and practices. A lot of newer companies have the potential to go out of business quickly, leaving you out of luck when it comes to a future warranty. Further, if they continue to stay in business, most of these newer companies are just 1 or 2 employees at most. This poses issues when it comes to servicing your system down the road and actually having the manpower to do so. 2. Do they offer digital retesting after the job is completed? We offer free, digital retesting for every real-estate transaction once the job is completed. This helps to ensure you get quick and accurate results. 3. Are they following proper radon mitigation standards? You don’t want to risk having someone improperly install your radon mitigation system and then need to have another company come out and fix it. We fix other companies mishandled work on a daily basis. This can delay the closing of your home during a real-estate transaction and will cost far more money than you could potentially save from going with a "less expensive" contractor. 4. Do they have a fair guarantee? We guarantee that your radon levels will be below the EPA action level after installation when the home has a drain-tile system. If for some reason they are not, we will come back out for no charge and make sure we get those levels below the EPA standard of 4.0 pCi/L. If the home does not have drain-tile, we still guarantee our results, just not necessarily at the initial installation pricing. 5. How quickly can they get the job done with accurate results? Our installations take 2-4 hours and we can get test results back to you within 72 hrs of installation. Further, we have a team of technicians so we can generally get someone out to the home within a matter or days from your initial phone call to us! 6. Will they work with you to put the system in the most atheistically pleasing spot for your home? We offer a variety of options when installing your radon mitigation system so you can be comfortable with how it will look from the outside. 7. Are you getting the entire story? Many radon contractors will lure you in with a "one size fits all" pricing model over the phone. The surprises happen when they come out and begin instillation. Some surprise charges are inevitable when doing work on a home and not knowing whats under the slab or behind the walls. However, many companies prey on this model to get the business and up-charge down the road. Prices significantly lower than everyone else in the marketplace should be a red-flag for unfortunate experiences. 8. Are they pulling the right electrical permits to get the work completed? ​Some radon mitigation contractors do their own electrical work. This can pose major issues from both a liability perspective but also a cost perspective. Most municipalities enforce a quadruple fine for such actions. If you would like to get a free quote for radon mitigation work on your home in Oshkosh or would like to schedule a test give us a call or click the link below!